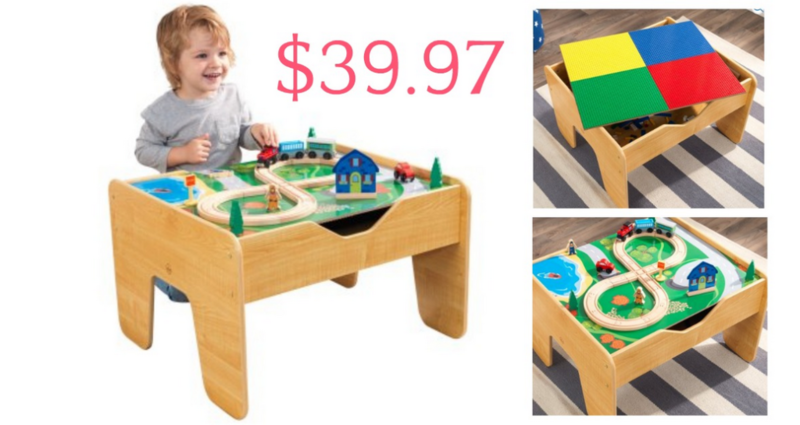 Head over to Walmart to grab the KidKraft Lego Compatible 2-in-1 Activity Table for $39.97 shipped, regularly $99.96. This is the lowest price we have seen!! My favorite part is that it’s compact so it can provide hours of fun without taking up too much room. It comes with 200 LEGO-compatible blocks and a 30-piece train set too. Prices subject to change at anytime. Shipping is free.